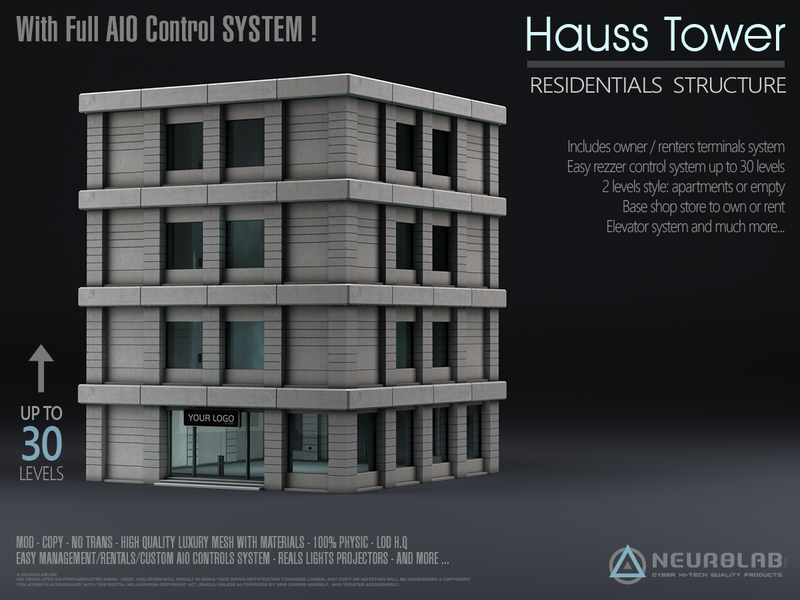 NEUROLAB present to you The NEW GENERATION of building! ALL IN ONE !! ► DEMO: SEE IN WORLD. – [Neurolab Inc.] HAUSS STORE (BOXED) *BONUS* without tower version. Rez the base of the tower. The top and the elevator will be rezed automatically. 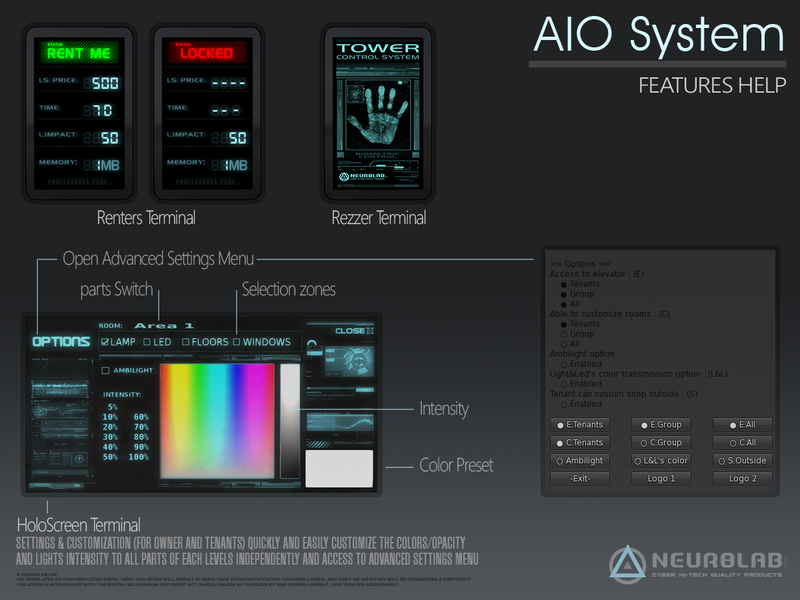 The control system will ask you to enter the number of levels from 0 to 30. – when the rent ends, a full level turn back to an empty level. – nothing special happens. Rented or not the levels remain full levels. 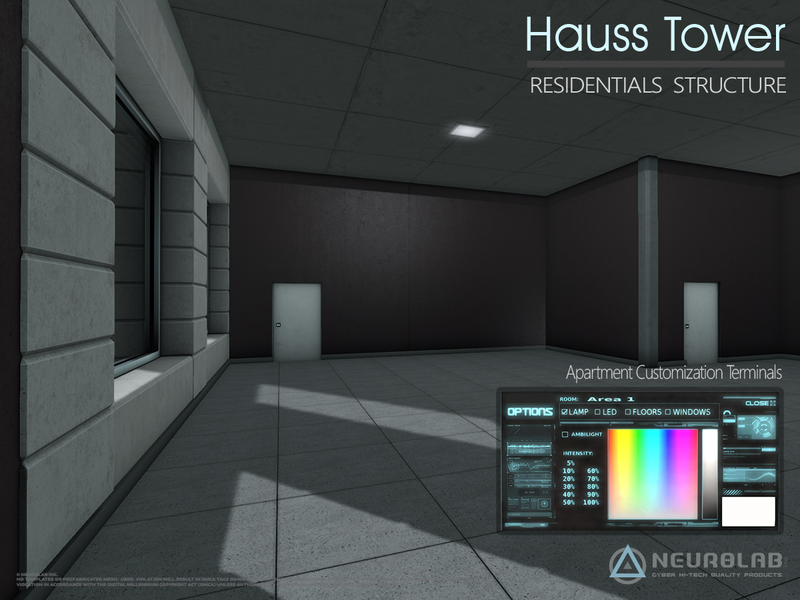 ¤ Tenants / ¤ Group / ¤ All : you can decide who can open the doors. 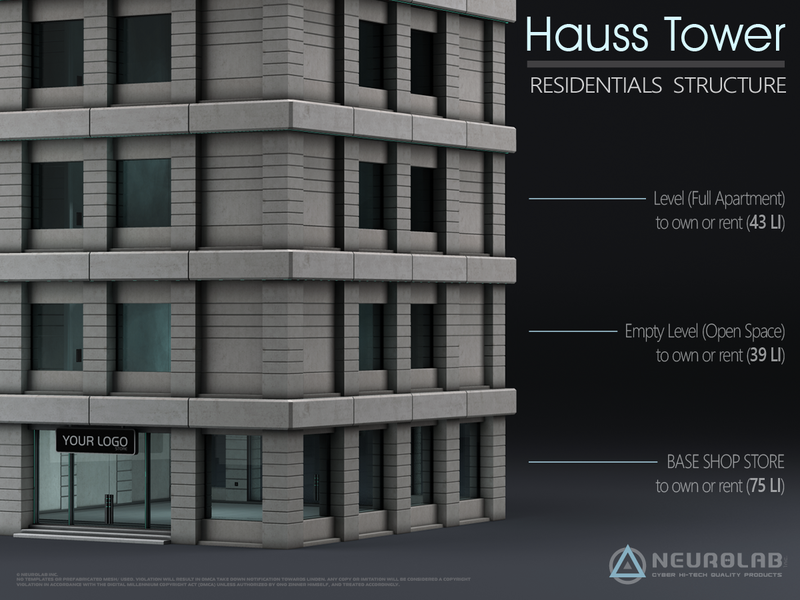 In the Hauss Tower, You can Rent each floors separately. minutes. People that are not allowed will receive a message and ejected 10 seconds later if they don’t leave this level. The item will be rezed and placed where it has to be. To delete this item, that do exactly what they did to rez it. one permission per level that’s why we created a relay for this. In addition this relay will eject unwanted people from levels. – Ultra High LOD resistant ! 1.11 Revision : Small improvements + fixs. – Ambilights small bug Fixed. 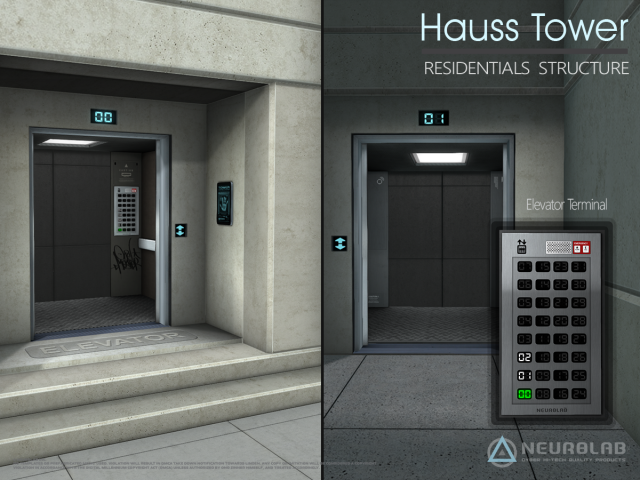 1.06 Revision : Fix Bug to Elevator Sit/Unsit. 1.05 Revision : Fix Bug to Doors Store.